eBooks have become an important part of the book publishing landscape, and at 4edge we offer a complete service for the production of eBooks which cuts out the time and effort required to carry out the necessary work of conversion, publishing and distribution titles into a digital format which can be read by all eBook devices including Amazon Kindles, Sony E-readers and Nooks. 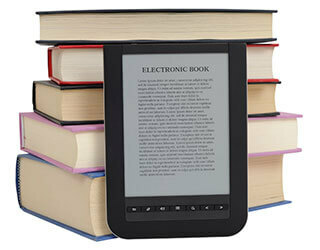 Our eBook services are available to all customers regardless of whether they have printed a book with us before. The Vivlia service takes away the pain and hassle for our customers of having to manage eBooks themselves. This service is provided via our subsidiary company, Vivlia Ltd.
Vivlia provides a one-stop shop for creating and selling eBooks. 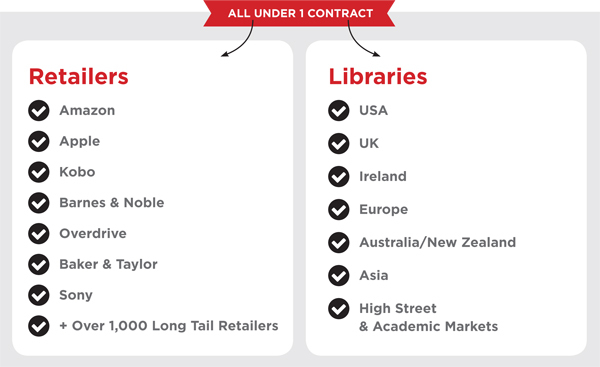 We future-proof our files and submit to over 1,100 retail outlets and 44,000 eBook libraries in over 110 countries, a truly global reach. Formats are available to suit all devices on the market today. We are able to convert from most source files including PDF. Cost depends on complexity that is why we kindly ask you to send us your text file for an accurate conversion price. Free file uploaded via our website (up to 2Gb). Vivlia continues to grow our eBook distribution network month on month. Partners include Amazon (UK, US and Europe), Apple iBook store, Ebrary, Waterstones to name just a few – please contact us for an up-to-date list. No upload charge, no hosting cost and no annual charge to maintain your files. 4edge and Vivlia are here to reduce the risk for all small to medium sized publishers.